You might be a group of journalists or you might have private interests in publishing a newspaper. It´s your choice: a classic print version or a multimedia edition. 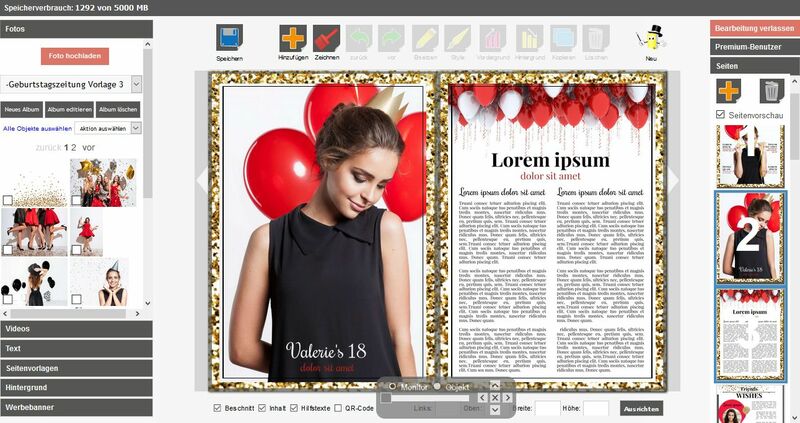 With MagGlance you can easily create your own newspaper to be displayed on various devices. Make use of our free of charge tool for online layouting and editing or use your own tools if you are familiar with them. In the latter case just import your results onto our platform as PDF document. Benefit from our service and innovative printing options. To create an online newspaper is really easy – simply drag and drop! Thanks to our free of charge and feature rich software you can create your own newspaper quick and easy. No need for software downloads and expensive programs. Use our easy to handle drag & drop layouter, work with our templates of artwork and layouts, clip arts, background styles and fonts or feel free to use your own designs and objects to be uploaded. 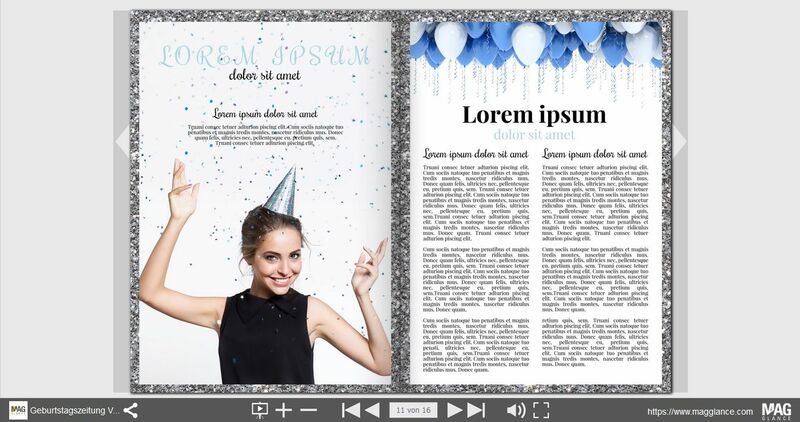 If you´d stil like to use your own programs and tools such as InDesign, then generate a PDF version and upload it to our MagGlance platform. The result is an online newspaper you can page through. MagGlance provides you with all the means. The newspaper on a private event or celebration such as a wedding or a birthday may not be considered for all of the public. However a club newspaper may well be for a larger audience. Therefore our portal offers options for a newspaper for both public or private publishing. In the latter case you can protect your newspaper with a password - in addition to your protected MagGlance user account. MagGlance supports your publication – if you wish. You may distribute your newspaper via a link in social networks, via email, in forums, or you may integrate your newspaper on your own page with an embedded code. You newspaper will impress on desktop PC´s as well as on mobile devices. We support publication and presentation on all popular devices – even without an App. After you´ve completed your newspaper you can order a professional print edition to be delivered to you. 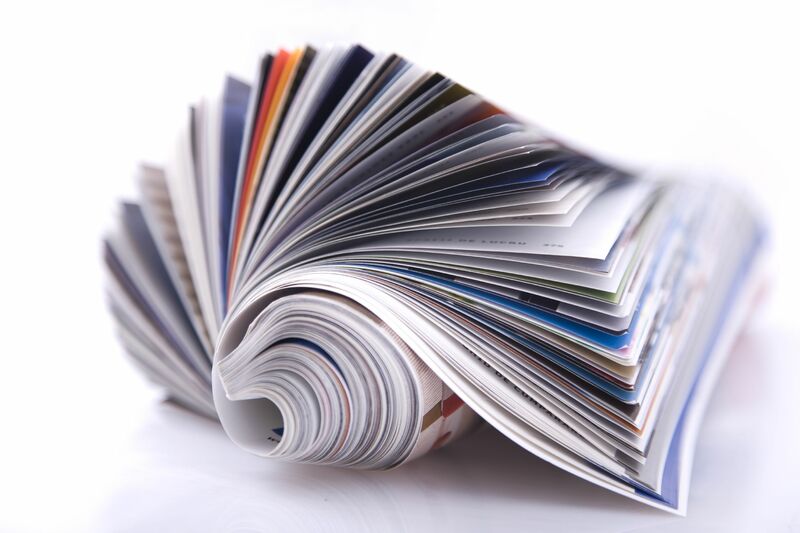 We even print orders of one single copy – but also large editions of hundred thousand or more. Benefit from the high quality print, fast express delivery, discount for orders of 5 copies or more more – with no hidden cost. Of cause you will get a preview before printing. Interested? Then click here for our price calculator. Click here to create your own online newspaper - for free!